Most homes, whether new or pre-owned, are originally designed to attract potential homeowners, and the best way to draw people into a house is to make it look like they could possibly live there. To do this, home builders and realtors intentionally create a neutral look, which means light-colored carpets, wood cabinets, beige countertops, and most importantly, there’re going to be lots of white walls. However, when you move into a new house, you want to make it feel fresh and comfortable, and there’s nothing more boring and lifeless than being surrounded by drab interior painting. As we’ve said before: never underestimate the power of a fresh coat. Though white walls can certainly open up a space, if every surface lacks color, it can also feel claustrophobic. They can be neutral and modern, but white walls also tend to look institutional and impersonal. Plus they’re hard to keep clean and they quickly reveal any imperfection. You always want your home to feel, well, homey. And the only way to do this is to give your walls a splash of life. And don’t fear brave color choices: bold statements often lead to pleasing results. Here are some tips to help you get started in your color quest. The toughest part of interior painting is the selection process. What color works best for which walls? What will each room cost? To ease the stress, always focus on one crucial design principle: Matching. Match Your Taste: Don’t worry about color coordination. It’s your house, so don’t listen to anybody’s opinions but your own. You’re the one who has to look at the walls everyday, so choose whatever is most appealing to you and you alone. Match Your Décor: If you don’t know what you want, look at rest of the house. Consider your furniture, decorations, and style and harmonize with other room colors. Think about borders or wall paper and how to make everything feel uniform. Match Your Mood: Each room comes with a different mood. A family room wants to be active, a kitchen wants to be airy, an office wants to be studious, and a bedroom wants to be cozy. Make sure you match the ambiance of each room’s function. Match the Size: Think of the room size and how interior painting will affect it. Darker colors are moodier and cramp an area, whereas lighter colors can open up a space, so be careful about color shades as you make your selection. Accent Walls: Accents have become a growing trend in interior home painting. In fact, you can actually compliment your other three walls by covering a fourth wall with a bolder, contrasting shade. Faux Finishes: Creatively texture your walls in order to create mood and depth. Murals: Turn your walls into actual artwork. Hire a professional artist to paint a picture in the nursery. Use stencils to create a new border in the kitchen. Or maybe rubber stamp a striking pattern across your bathroom wall. Unusual Surfaces: Why not paint your floors, ceiling, tile work, cabinets, or wood paneling? It may be interesting to turn these overlooked areas into unique focal points. Room Removal: Before you paint, always remove all furniture and wall fixtures, including towel bars and electrical outlet covers. Lay the Groundwork: Put down and secure a drop cloth to protect your floors. Also, fill in any holes and thoroughly clean the walls. Prime the Project: You may have to use primer to make the project go faster. If you’re going to apply a lighter color over pre-existing dark hues, bright shades, or oil-based paint, you’ll always need to prime your walls first. One of the centrepieces for any bathroom is the mirror. They are there so putting make up on, shaving and just admiring your body can be done a lot easier. Also, they are great for mirror selfies so it is important that you have a beautiful one to really capture that great shot. Cleverly placed mirrors are also a great way to make your bath space seem bigger than it actually is. Making use of black framed mirrors can be a great way to really make your vanity pop, especially when contrasted with a white or cream wall. It is said that the accessories often found in the bath and the way they are arranged reflect the personality of the homeowner. If you are looking for a modern look in organizing your stuff, there are now black tissue dispensers, soap dishes, toothbrush holders available in the market. Although black may not be the first color of choice for most people in the past, more and more people are now turning to this color in order to achieve a more modern and sophisticated look for their bathroom. Another centrepiece in one’s bathroom is the throne or more commonly known as the toilet. Today, people spend a lot of time in their toilets especially when they have their handheld gadgets with them in this partucular area of the home. There are different ways to make your toilet more comfortable such as buying toilet seats that offer comfort and beauty. Toilet seats are no longer bought just for functionality; they are also used for their decorative value. Faucets today do not need to be just run of the mill kinds. There are now a variety of shapes and designs to choose from. But what is truly gaining in popularity is the black faucet fixture. Most often these are mounted on the edge of the sink. However, if you really want to add more elegance to your bath space, it is now possible to have wall-mounted faucets. Do not just settle for chrome faucets, there are plenty of other colors to choose from but the black one will surely help in achieving a modern and elegant theme for your bathroom. Bathroom accessories are not only bought for their functional use these days, instead they are now used to make one’s private space more interesting and appealing. These bath items will surely give a more interesting contrast to your home. When adding these black bathroom accessories, it is important to remember to keep your bathroom well lit. A well-lit bathroom with black accessories will surely give the illusion of a bigger bathroom. An attractive, welcoming entrance does more to greet friends and family than any other element of your home’s exterior. But, don’t forget that your entrance is much more than just your front door. Your walkways, your landscaping, your lighting and your front porch are all part of that first entry impression. Most front entrances do little more for your home than serving a purpose, letting occupants and visitors in and out. Ironically, this is also an area where you can make a huge impact without breaking the bank. Take a look at the front of your home. Does your front door have any accents? Trim work? Is the paint cracking and peeling? What is the state of your landscape? Does your current lighting scheme work? Replace the old door with a newer model of the same size. This will spare you the cost of resizing the opening, and still give you a lot of bang for your buck. Many models are built to fit into existing woodwork, which will also spare you the cost of having to replace the entire unit. Add an attractive storm door to protect the entry door and keep heat inside in the winter, and bugs out in the summer. Choose a door with a movable sash to allow for more flexibility. Trim the exterior of the door with finish carpentry such as columns and a crosshead pediment to extend the width of the door. Ask your carpenter about high-density urethane foam millwork, a great option to high maintenance wood. Outdoor lighting can go a long way to create a warm welcoming effect for your guests. Lighting installed above or at both sides of the front door are good options. Routinely check that all front lights are working and be sure to turn them on in the evening. You don’t want guests tripping because they can?t see well. Adding ground-level lighting along your walkway. Solar-powered lights are an easy-to-install, inexpensive way to go. Keep walkways swept free of debris and the clutter of children’s toys. Not only does this look nicer, it prevents accidents from happening. Make that dingy walkway look brand new again by getting it power-washed. Add inviting, comfortable chairs to your front porch. This creates a welcome setting, not to mention an additional room, in the summer months. Consider adding a hummingbird feeder or plants that attract butterflies around your porch. The sights and sounds of nature can add a very peaceful feeling. Maintain your landscaping by keeping shrubs trimmed and weeding the area. An overgrown landscape gives the impression of an unkempt home, as well. Cut some fresh flowers from your garden to display just inside your entryway. This brings a little of the outdoors in and creates continuity from your front entrance walkway into the home. Is your living room or kitchen a bit gloomy? Or do you have a beautiful backyard landscape that remains hidden from inside the house? These problems are probably due to the lack of windows in your home. Additional light in any room can make it look bigger, more open, and bright. Plus, you are then able to have a better view of your backyard, garden, or patio. Though creating a window space in a wall is certainly possible, another more affordable option is to replace you entryways and exits with sliding glass doors. These doors not only provide windows, they also make for easy entrances onto decks, porches, or patios. Sliding glass doors have come a long way in the past few years. They no longer use clunky plastic panes and trim. Today, these units come in many different design options. Maybe you want multiple doors joined together; or maybe you want them small and subtle. Would you like them to come in aluminum, vinyl, woods, metal, or fiberglass? Do you want them top-hung from your entryway in order to avoid any dirt, leaves, or debris in the glide track? As you can see, the options are limitless in terms of style and design, so the difficult part about investing in sliding glass doors is actually choosing the best fit due to their wide selection. Just because these doors are made of glass doesn’t mean they are fragile. In fact, they offer quite a bit of protection to you and your home. If you live in an area with a lot of insects you may want to select a door with screens that open and shut so you can let in fresh air yet still create a barrier from unwanted pests. You can also install double pane doors in order to soundproof your home from outdoor disturbances. If you choose to layer your doors (installing two doors with a small gap of air between them) for additional security, you can also create a natural form of insulation, thereby driving down your utility bills. Though people often think that these doors leak heat in the winter and increase the temperature during summer months, if you buy appropriate weather stripping and insulated glass, you can in fact generate more efficiency in your energy costs, especially if you invest in glazed glass with a low-E coating. There used to be limitations to these doors, but now with modern-day innovations, they can serve the same functions as any other doorway. You can still install pet-doors with specialized systems. And if you’re afraid that they are too convenient in that there is too much easy access, there are now even security options for parents who want to apply setting restrictions for kids. These systems only allow the door to slide open to a certain degree, making them exceptionally childproof. Plus, if you don’t want your home exposed to nosy neighbors all the time but don’t want to cover up with curtains and shades either, there several alternatives: etched glass, stained glass, and even adhesive-free vinyl film designs that stick right to the door are ways to let the light in but keep wandering eyes out. If you have the opposite problem in that you wish more light could enter the room, then folding doors are maybe your best option: doors which can open up the entire wall to a sunroom, an enclosed porch, or a patio, yet can also close at your convenience. And as always, there a many traditional window treatments to choose from: horizontal and vertical blinds, sashes and curtains, or maybe decorative screens that can cover the window whenever desired. When it comes to remodel or make a new bathroom and kitchen in the home, Countertops materials and colors really set the tone for your overall bathroom and kitchen designs. Countertops come in number of colors, styles, pattern and materials each with its own special qualities. In addition to making a statement bathroom and kitchen countertops can still be practical, providing additional workspace. By customizing your bathroom countertop, you will be able to address all of your bathroom needs and add your own personal sense of style. You will need to choose for your bathroom design project a countertop that can accept your major fixtures like your shower, toilet, vanity, etc. Bathroom vanities countertops are made from materials that are durable and, and are also quite easy to maintain. Most countertops are constructed by combining a base of plywood or particleboard that then spans across the top of a cabinet and the finish surface material. Kitchen, The Heart of Home needs some more attention while being designed for its appearance and hardness. While functionality is important in the kitchen since the kitchen countertops take more of a beating that bathroom countertops do, when it comes to bathroom countertops you are more able to consider appearance above all else. Since bathroom countertops are generally custom-made, you will find that the style and design options are wide open. Kitchen and Bathroom Remodeling can be done using countertops that come in many types of surfaces and materials. These include: laminate, marble, and granite. Laminate: Laminate represents the lowest installed cost and a wide choice of colors, patterns and textures. While laminate is stain and scuff resistant is can still be susceptible to burns and nicks. Marble: It is known for its beauty, but is soft and porous and can stain easily. Nevertheless marble still remains a top choice for kitchen and bathroom countertops and bathroom vanities countertops. Marble is available in slab or tile forms and in a variety of thicknesses. Granite: Granite comes in numerous designs and colors with different finishes ranging from high polish to matte and rough- texture. Due to its beauty and durability granite is a more high-end choice for countertops. It is less susceptible to scratching and absorption than marble. Granite Kitchen and bathroom countertops withstand heat and the high usage that a bathroom counter would be exposed to. Solid Surface: Man made and exceptionally tough this manufactured made of acrylic or polyester is effectively maintained. It comes in different colors and surfaces. Solid surfacing material is utilized to manufacture ledges, shower walled in areas and even floors. It is not modest, indeed it can cost just about as much as marble or stone. It is impenetrable to scraped spots, water and gouges that could happen after some time. Furthermore, it is anything but difficult to repair if vital. Strong surface materials have an enduring sturdiness requiring insignificant upkeep. Every now and then, we need a contractor for small home improvement jobs. Whether it is house painting or wallpaper hanging, these little jobs can dramatically change the look of your house. Hiring a professional is very important to get the desired results. But, this may not be an easy task. Here are five points that you should take care to find the right assistance when improving your home. Make a list of all the improvements that you need to carry out. Discuss with your wallpaper hanging contractor how you want everything to appear after it is all finished. Research is one of the most important steps in deciding the right home improvement contractor. You can save a lot of time, money and energy if you find a service provider with accreditation from the licensing boards. Ask people from the immediate circle who have used the services of the home improvement industry and are happy with the end results. You can also ask for references of former clients during your research. Most contractors today provide free estimates. Contact different home improvement contractors for free estimate and full price quote. If the contractor has proof of some kind of insurance, then it is safe. Most reputable contactors provide insurance provision to their customers to avoid any unforeseen expenses. With so many home improvement contractors making a beeline, it is important that you narrow down your options and decide whom you want to work with. You can find out the best professional service provider keeping in mind their availability, price and client testimonials. These simple tips can provide insight into what you will receive from your chosen wallpaper hanging contractor or house painting contractor. These tips are helpful to choose literally any kind of home improvement service you choose. Every reputed and professional company understands very well the power of referrals. Therefore, they will make sure that their clients are always happy and satisfied. By assigning your home improvement project to such a company you can enjoy peace of mind. You can assure yourself that your project went to the right hands and that you will receive the worth of every penny spent. When it comes to green remodeling, high profile items like low e, multiple paned windows, photovoltaic solar panels, and ENERGY STAR rated appliances get all the press. But some of the greenest things you can do for your home are a lot less visible— like greening your foundation, retaining walls, or taking on a basement waterproofing project. Whether you’re looking for a more environmentally friendly form of foundation construction, or are more interested in green basement and foundation waterproofing solutions for a healthier home, here’s a handful of suggestions from HomeAdvisor that should help you get off on the right foot. HomeAdvisor understands that it can be tough for homeowners to wade through all the “green” remodeling information out there, which is why we’re happy to announce that we’ve teamed up with green remodeling expert David Johnston to provide you with the best, most accurate, green remodeling advice in the business. David Johnston is the founder of the green consulting firm What’s Working, Inc., the author of multiple books on green remodeling (including the Nautilus Award winner Green Remodeling: Changing the World One Room at a Time), and he happens to know a thing or two about going green when it comes to building foundations, waterproofing below grade, and even how to add a green touch to things like retaining walls and backfill. Here’s a green project guide from the man himself to help ensure your home is built green from the bottom up. Before we get to specific suggestions, let’s take a moment to look at the cost of going green. After all, budget is a big concern on any remodeling project, and rumor has it that going green can add to your bottom line. The truth of the matter is that greening a foundation or waterproofing project is very cost-competitive compared to conventional means, and it can even save you money. And if going green does end up costing you a little bit more at the outset, don’t forget that green foundations are generally stronger, better insulated (which means lower energy costs), and more waterproof, which can save you some major headaches, repairs, and ultimately a lot of money, as the years roll by. Despite all that, Johnston is also quick to stress that homeowners should be careful about getting too wrapped up in dollar figures when deciding whether to go green. Why? Because the true value of going green is far higher than any bottom line. Going green with foundations and waterproofing leads to healthier homes, higher quality builds, low maintenance foundations and basements, and most importantly, it means you’re supporting a more sustainable way of doing things and contributing to a better world to pass on to future generations. When you put it that way, it’s easy to see what Johnston is getting at when he says that the true value of going green is impossible to put a price tag on. So, just what are your options when it comes to going green with foundations, retaining walls, and waterproofing? Here’s a list of suggestions on going green, drawn from the wisdom, experience, and writings of Johnston himself, that will help you to increase energy efficiency, reduce your environmental impact, and create a healthier home. Insulate Your Foundation Using Rigid Insulated Concrete Forms or Rigid Foam Insulation—Insulated concrete forms (ICFs) are innovative interlocking rigid foam blocks and panels that hold concrete in place during the curing process, and serve as an extra layer of insulation for your foundation once things have dried. If you don’t use ICFs, consider adding a 2-inch layer of rigid closed cell foam insulation to the exterior of your foundation before you backfill. Use Recycled Concrete for Backfill and Retaining Walls—There is a lot of old concrete out there that can be broken into blocks and used to build retaining walls or crushed to provide backfill and facilitate good drainage. You’ll save money over buying more expensive materials, and save some useful “waste” from ending up in the landfill. Install Non-vented Crawlspaces & Insulate Crawlspace Areas—Since crawlspaces are uninhabited, outdoor ventilation isn’t really necessary. Unventilated crawlspaces will stay cooler in the summer, and drier in the winter when moisture buildup can be a problem. Furthermore, consider insulating your crawlspace walls and applying a layer of polyethylene sheeting to the floor and walls to keep moisture levels down. While energy efficiency and environmental stewardship are both at the top of the green remodeling priority list, creating healthier homes is just as important. When it comes to creating healthier foundations and basements, addressing radon mitigation and waterproofing should be center stage. High radon levels are closely linked to lung cancer, while moisture issues can lead to a host of indoor air quality issues, including the development of toxic mold that is associated with everything from immune and nervous system disorders to cancer and respiratory issues. Here’s what you can do to green your new foundation or basement in the health department. Test for High Radon Levels—Radon is a naturally occurring, odorless, invisible radioactive gas that leaches into your indoor environment from the surrounding soil, making it particularly dangerous for below grade living areas. How dangerous is it? It’s been identified by the EPA as the second leading cause of lung cancer in the U.S., behind smoking cigarettes. Professional and self-administered tests are available to determine if radon levels in your home are at dangerous levels. Install Radon Mitigation—Radon mitigation is a must if radon levels in your home are high enough. There are many measures you can take, including installing sub-slab ventilation systems, airtight membranes over sub-floors in main living areas, and polyethylene air barriers over exposed dirt in crawlspaces. You can also seal cracks and joints in your foundation with caulking or foam, and install a gas trap in floor drains and sump pumps. If radon levels continue to be a problem, a fan powered radon mitigation system is the weapon of last resort. Extend Gutter Spouts Away From the Home—Sounds almost too easy, but this is one of the most efficient ways to divert moisture away from your foundation, helping to eliminate the health and structural issues that excess moisture can cause. Add Gravel Filled Drains (Dutch Drains) at the Bottom of Drainage Pipes—If you have moisture problems in your basement or crawlspace, consider installing gravel filled drainage pipes beneath ground level at the bottom of drainage pipes or in other areas where water collects close to your home. Install a Rooftop Water Catchment System—Rooftop catchment systems collect runoff in cisterns, wells, or drums. They help to reduce the moisture that reaches your foundation, while at the same time collecting runoff that can be reused for landscaping purposes. Properly Slope Landscaping Away from the House—Sometimes the most obvious solution is the most effective one. Making sure that landscaping slopes away from your home is the best way to prevent moisture from infiltrating your foundation or basement in the first place. Install Basement Waterproofing—If these simple drainage solutions don’t solve your moisture issues, you should consider more extensive waterproofing measures, including sub-slab drainage systems, sump pumps, or a more comprehensive moisture mitigation system if necessary. Which Shade of Green is Right for You? While thinking green when it comes to foundations, retaining walls, and below grade waterproofing is a smart choice for your pocketbook, your home, your health, and the environment, it’s not unusual for homeowners to feel a little overwhelmed when presented with the full scope of green remodeling options. If you’re feeling unsure about how green you’re willing to go with your upcoming project, there’s no need to worry. Going green is not an all-or-nothing proposition, whether you decide to test for radon and extend your rain gutters, or go all out with recycled content concrete, full basement waterproofing, and a radon mitigation system. Removing fumes from your home, kitchen and bathroom space can be done easily with home ventilation systems. Today, there are advanced home ventilation systems that are utilized to lower down electric bills. But there are few regulations that you need to keep in mind before installing any type of system in your space. Those old conventional fans that you have already set in your home is not much efficient to remove fumes, molds, mildews and other dust deposition; hence, it is essential to think out of the box and implement energy efficient ventilation system. 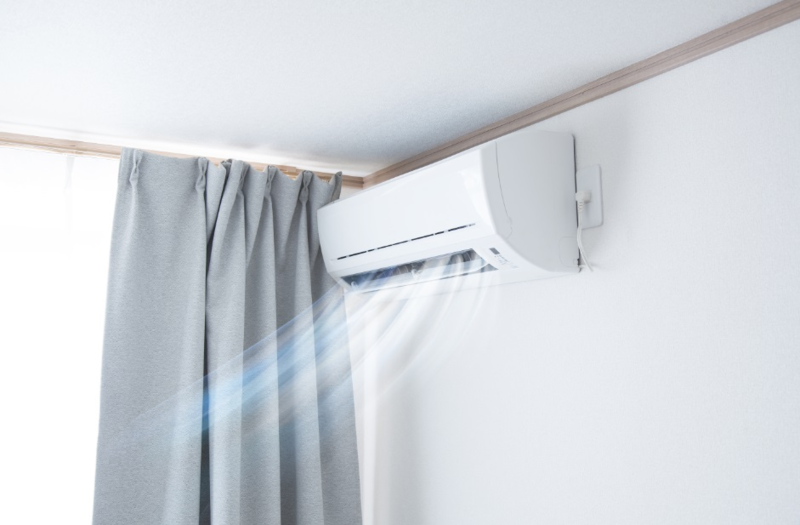 Traditional fans cannot remove fumes and may bring about the distribution of fumes and block the air admission sections of housetop air supply units. In the event that you have a short out the hood, close off the short out air supply to the hood, and direct this substitution air into the kitchen zone. Placement of the right air conditioner will also help ventilate the air in the kitchen. The new substitution air source ought to be warmed and cooled to keep up kitchen staff solace. The warmed and cooled air outlet ought to be the new laminar stream sort situated before the hood face. After the fumes, a framework has been changed in accordance with an acceptable arrangement of catch and control, and after that, the substitution air framework’s CFM rates likewise can be lessened. All these CFM diminishments will bring about lower service bills. The expansion of hood end boards is an ease expansion to minimize some turbulence. Apparatuses ought to be pushed back under hoods to give more front shade. The last step is to fittingly handle the framework release, which ought to be far from any open-air channels. The point of smoke and smell can be determined by utilizing the weakening arrangement as a part of conjunction with the high-speed vertical release stack innovation that is standard in home ventilation solutions. At the cooking line, it is best served by the expansion of the laminar stream air source before the hood. With the diminishment of fumes air going out of the stack and less tempered substitution air need, service bills will be lessened. The answer for most kitchen ventilation issues is to watch/archive what is introduced and after that upgrade the frameworks to today’s innovation. Think wisely and choose home ventilation systems that are perfect for your home and office location. There are wide varieties of energy efficient ventilation solutions available that comes in the different price tag. Now, it is your choice to go with some latest innovative vent technology that works ideally for your home and office location. Hence, what are you thinking? Get ready to install a home vent system. Today!